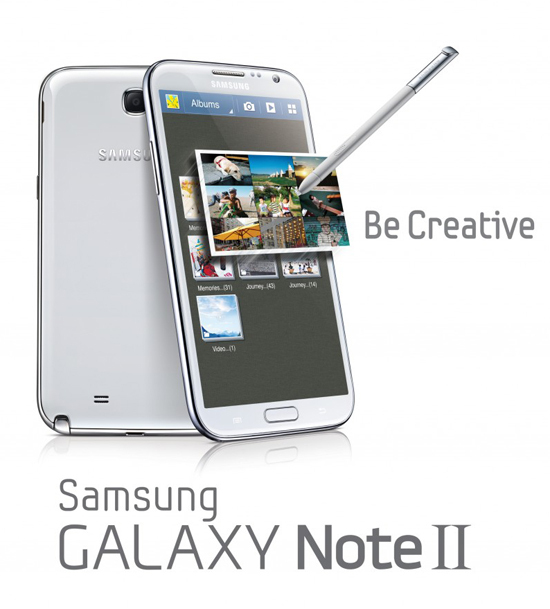 Some Deaf friends asked me if Samsung Note 2 is very best or not? They still curious about Note 2 because they interested in Samsung now! Last month, Samsung Galaxy Note 2 officially announced at 'Samsung Mobile Unpacked 2012' ceremony held in conjunction with IFA in Berlin, Germany. Cool, Samsung Galaxy Note has an impressive specification with four-core processing power 1.6GHz with 2GB of RAM as well as having an enhanced battery capacity up to 3100mAh, it is also powered by Android version processing systems Jelly Bean (Android 4.1). It increase the screen size to 5.5 inches and have HD Super AMOLED type screen with a 16:9 ratio. And it comes with an internal memory options of 16GB, 32GB and 64GB memory cards as well as additional support. The Samsung Note 2's main camera has a resolution of 8 megapixels. If you are artist, or mult-tasking person, you can express your inner creativity with use the S-Pen! The Note 2 has also been given "Air View" and "Pop Up". It have the ability to detect something with used the S-Pen. You watched the youtube above as what are new features inside the Galaxy Note 2. AirView allows users to hover with the S-Pen over an email, S Planner, image gallery, or video to preview the content without having to open it. Pop Up, lets users open an S Note instantly as a pop-up window anywhere on the screen. Quick Commands with S-Pen - lets Galaxy Note 2 users access a collection of commands by simply holding down the button of the S Pen and swiping up. 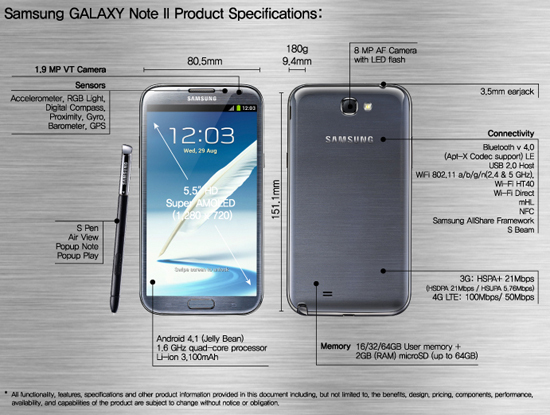 I heard that it is very faster than Samsung Galaxy S3 because it get the 1.6GHz quad-core Exynos processor and 2GB of RAM memory. Well, there are many Deafs are designers, so they can buy it if they love to draw, and can write on the note as reminder task of design. They also love to watch the clearer quality of video. You can enjoy to watch this youtube or trailer video via a bigger screen of Note 2 and surf the internet at same time if you use the Pop Up? If you asked me, when? It maybe will coming on next month, October 2012.